While hot dogs existed long before Columbus even set foot in America, the modern image of a dog is the one from New York City. 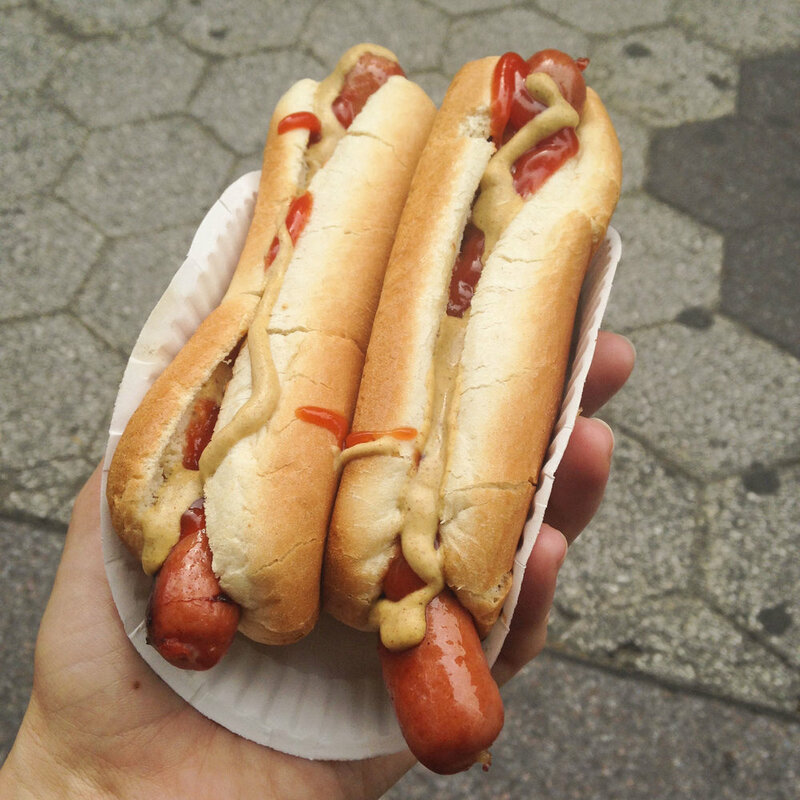 Fished out of a steamy cart, thrown into a cheap white bun and slathered in ketchup and mustard, a hot dog is essential to any trip to the big apple. And, as with most other simple pleasures, this city serves them in every conceivable format. Plot this course to get the best out of New York’s hot dogs. This bustling joint on Coney Island has been serving hot dogs for 102 years. In actual fact, it was Nathan’s wife, Ida, who officially created the recipe for Nathan’s Famous Hot Dog, which became a hit with ravenous hordes of beach-goers. Now it’s your typical beef hot dog, served in a fluffy white bun. Ignore the chili and cheese variations — the only things you should be adding to this piece of New York history is ketchup and/or mustard. 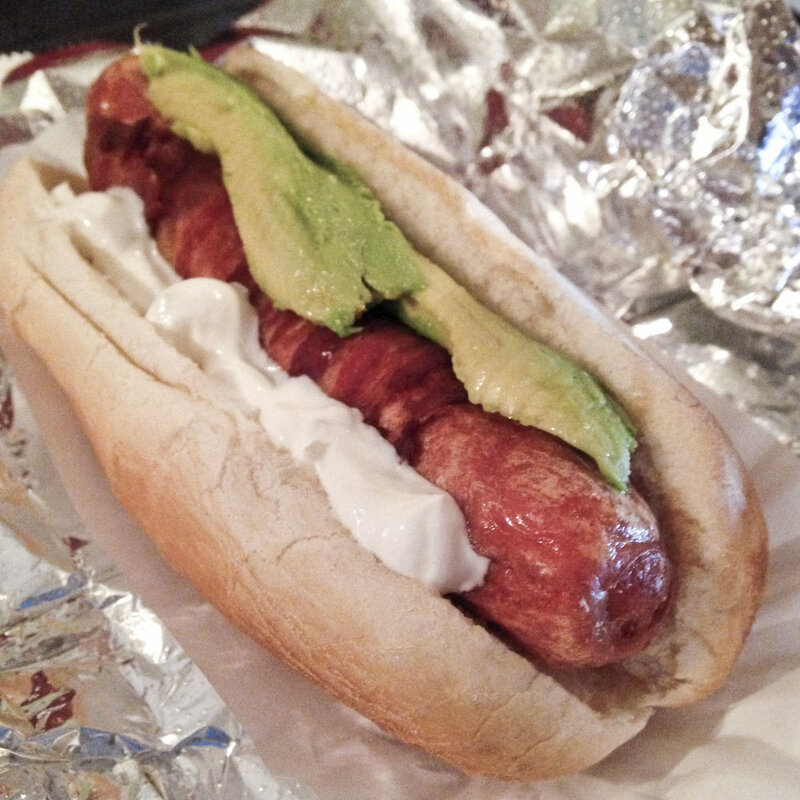 Gray’s Papaya is a classic dog with a modern twist. Have yours sprinkled with caramelised onions and topped with ketchup and mustard. As a side note, the “papaya” actually refers to their signature fruity beverage, which isn’t as essential as the dog. An for the obligatory hipster variation: Crif Dogs. This is your opportunity to go nuts with the toppings. Sauerkraut, chili, cheese, egg, bacon, pineapple, sour cream, avocado, coleslaw, baked beans? Sure. While you’re at it, why not wrap it in bacon, too?